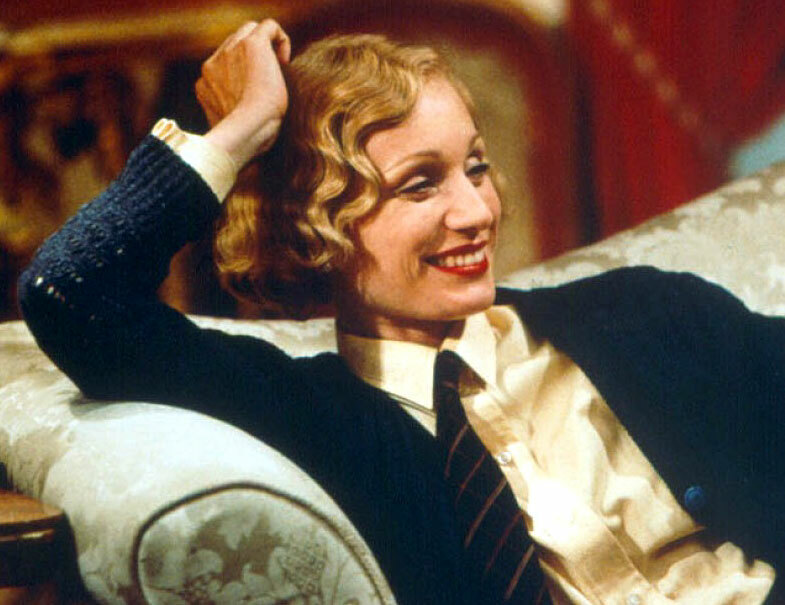 Back on a Kristin Scott Thomas kick again, I picked up a copy of Gosford Park (2001), a comical drama set in 1930s England, focussing on an ill-fated shooting weekend at the eponymous country estate, which is rather spoiled by the unseemly murder of the house’s master… although the crime seems to upset the staff downstairs far more than it does the toffs upstairs! This is actually the second time I’ve seen the film, and it definitely makes more sense with repeated viewing… although there are still several supporting characters I couldn’t quite identify or keep track of. Thankfully director Robert Altman asserts on the commentary that it isn’t necessary to understand every single sub-plot to enjoy the film overall, and I’d have to agree. As an aspiring screenwriter, I was also interested to learn more about Altman’s unique process. In the “making of” featurette, he claims not to study the script at all before he shoots a scene, preferring to trust the actors to know their lines and their characters well enough to give him what he needs, whilethe cameras wander randomly around the set. Apparently Julian Fellowes, who won an Oscar for his work on the screenplay, wrote sections of the film on-the-fly as it was being produced, while some of the dialogue was also improvised, to help flesh out the larger ensemble scenes. Considering the quantity and quality of the cast members employed here, not to mention the sprawling nature of the story, it seem a little rude to pick out individual actors for praise, but KST is a lot of fun as ‘Lady Sylvia McCordle’, the wryly flirtatious mistress of the house… Helen Mirren is suitably stand-offish as the haunted housekeeper, ‘Mrs. Wilson’… Maggie Smith is hilarious as ‘Constance’, the gloriously snarky, snobbish Countess of Trentham… and Kelly Macdonald is adorable as her maid, ‘Mary Maceachran’, the naive newbie who acts as the audience’s “tour guide” around the house, as well as the amateur sleuth who cracks the case for us. On the manly side of things, Tom Hollander is endearingly gawky as ‘Commander Anthony Meredith’, the aspiring entrepreneur… Richard E. Grant gets some good lines as ‘George’, the bitchy footman… and, with his menacing turn in Glorious 39 still playing on my mind, it’s fun to see Jeremy Northam providing some light relief as real-life actor/composer ‘Ivor Novello’. Apparently he also sang live on set, and accompanied himself on the piano! Multi-talented and devastatingly handsome… makes you sick, doesn’t it? 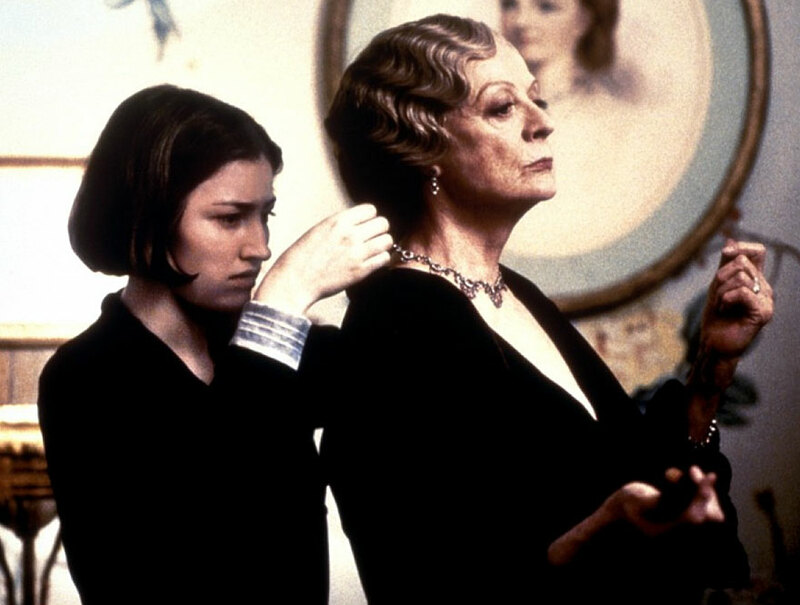 This entry was posted in Rants about Films and tagged Downton Abbey, Eileen Atkins, Gosford Park, Helen Mirren, Kelly Macdonald, Kristin Scott Thomas, Maggie Smith, Upstairs Downstairs. Bookmark the permalink.